Are you in love with blogging or love writing so much? Did you know that you can always generate side income from blogging or writing article for some companies out there? 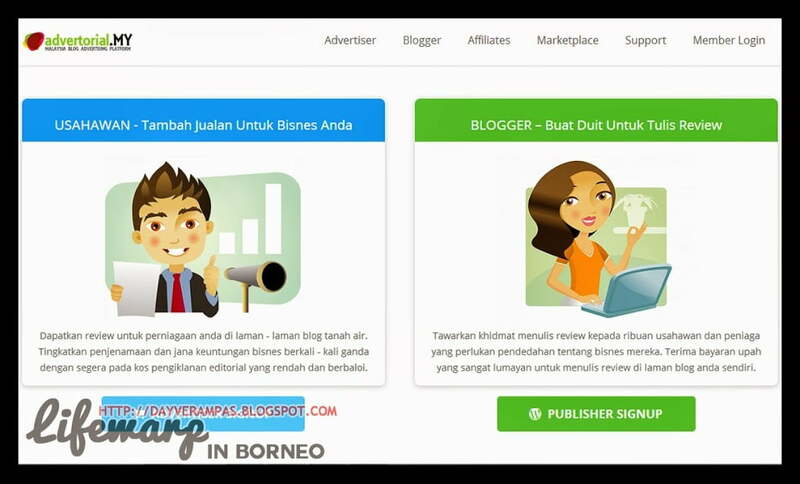 Advertorial.my is another Malaysian blog advertising platform where you can generate side income from RM35 to RM350 for every advertorial job that you received. You only need to set up your own blog, and must be an active blogger. It’s similar to working in a journalism world where you have to write an article, and they will pay you based on the agreed price. Sounds legit, isn’t it? Advertorial.my will find an advertiser for you, and deal with the price which you agree to be paid. You will have to make a research to get more information about the products, services, website, event, promotion, business to reach a wider market. Then only you can write and publish your advertorial review for marketing purpose. Join Advertorial.my and make side income today! Advertorial is a type of advertisement in the form of editorial content whereby it gives information about a product, service, website, event, promotion, or business to reach the targeted market. You would always find this kind of thing over the Internet where people blogged or make a review on a product, service, or website, just to name a few. The writer then will be paid with the agreed amount. This type of advertisement has always been a good marketing strategy as it reaches the targeted market at a very cheaper cost, and at a very wider market. Anyone who is an active blogger can be part of Advertorial.my, regardless of experience or popularity. Your blog can be either in English, Malay, Indonesia, Tamil, or Chinese language. The application to be part of Advertorial.my is open for serious blogger, anyway. If you’re serious to make extra income, then you should be serious when applying for this job. What are you waiting for? Get yourself registered, and start earning money today before it’s too late!